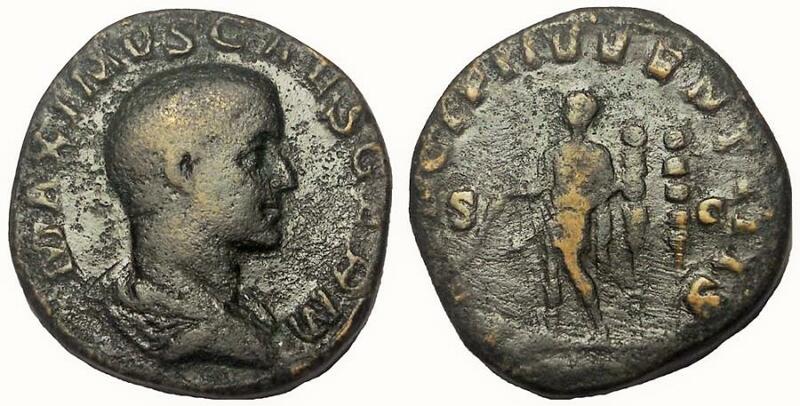 Maximus, as Caesar, 235-238 AD. AE Sestertius, 29 mm, 23.65 g. Rome Mint, 236-238 AD. Obv: Bare-headed and draped bust of Maximus right. Rev: Maximus standing left holding baton and spear, behind him, two standards. RIC 13.